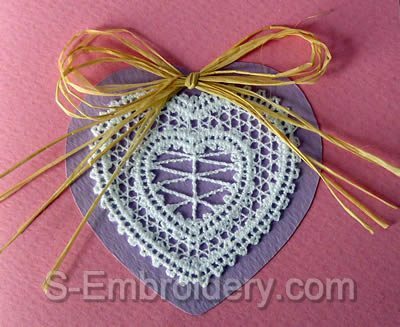 A set of 5 Valentine free standing Battenberg lace machine embroideries - 1 cherub and 4 Valentine heart embroidery designs. 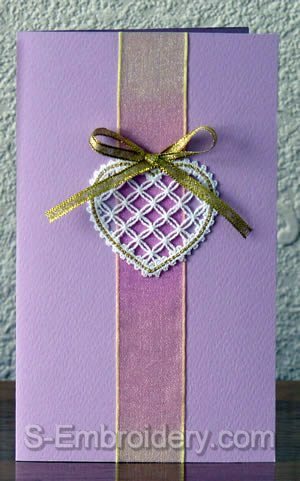 Each design is offered in 2 flavors - one with 2 (or 3 colors) and a mono colored version. 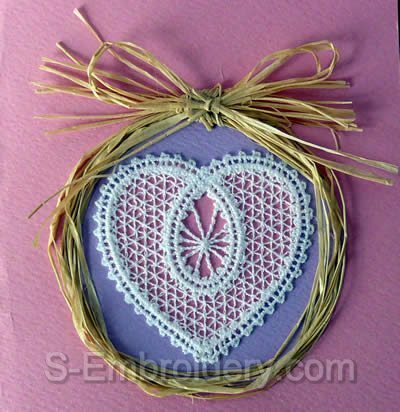 All designs will fit in 4x4 embroidery hoops. 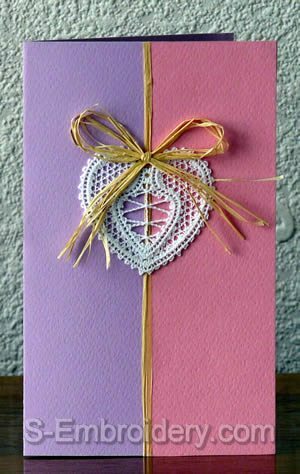 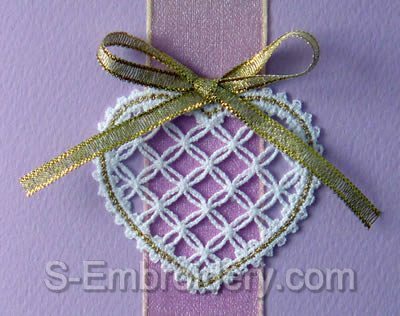 The Battenberg lace designs from this set will make fine decorations for your Valentine cards. 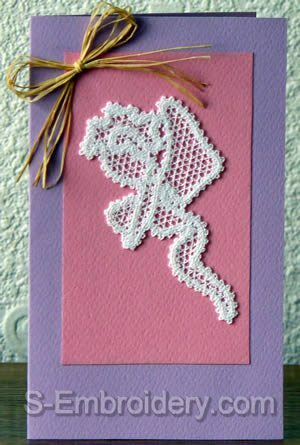 The set comes with instructions (in PDF format) for creating the custom Valentine cards featured on our web site. 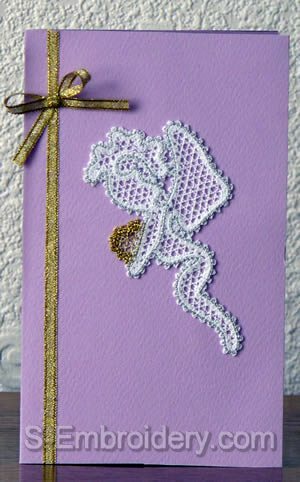 You receive 10 machine embroidery files and 2 PDF files with design information and instructions.